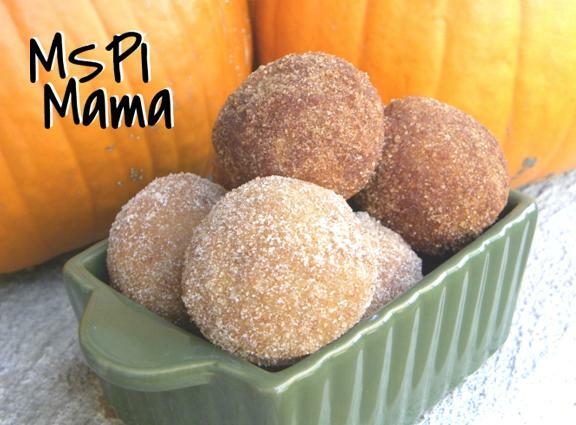 MSPI Mama: Baked Pumpkin Spice "Donut Holes"
Could you use almond milk instead of the rice milk? Millie, I don't see why not! I made these a couple weeks ago and they were soooo yummy!!! Thanks!!! I just made these for a super yummy Thanksgiving breakfast. I've also cut out egg so I replaced the egg with 1/2 a ripe banana and they turned out perfectly. Thanks for this great recipe! I made these and they were delicious. The only think that I didn't do was put them in the butter before the sugar. Right out of the oven they were hot enough for the sugar to stick.